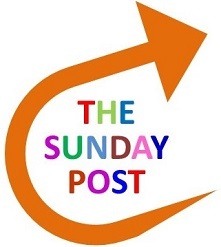 BAY POST INTERNET: Will free tickets get you to a Tampa Bay Buccaneer’s Game? Will free tickets get you to a Tampa Bay Buccaneer’s Game? It seems things keep going from bad to worse for the Tampa Bay Bucs on the field, on the TV screen and in the stands. I started my NFL boycott just after the players began their flag protests and frankly, I haven’t missed the game much. I’m still not watching any TV games, avoiding NFL sponsors when I can. 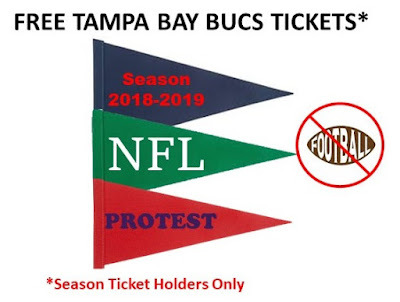 Even the latest Bucs offer of free tickets to season-ticket holders has not prompted me to seek out any of season ticket holding friends. Tampa Bay Times, Rick Stroud: After worst attendance at a game in more than eight years, Bucs offer free tickets to season pass holders. Kind of reminds me of the old saw from times past about parking your car and putting three Bucs tickets under the windshield wiper. When you got back there were six. In a world where most of us are trying to remove as much violence, mayhem and abuse from our lives, a game that trains its participants from a young age that hurting and hitting are the key principals of the game, protects and coddles domestic abusers and treats its players as expendable is not something, we should waste our time and money on. People are not going to NFL games for a number of reasons I suspect including the cost, and as the game moves away from national broadcast television to lucrative pay per view contracts general exposure my also be a factor. However, I can’t help but believe that as mothers watch more and more pro-football players fall victim to injury; players act out their trained instincts to solve personal and domestic problems and the violence on the field continues to increase, there is growing segment of society that says maybe this all just too much. Yup - much the same here - and I suffered through the popsickle years - but not any longer for sure. Thanks for prompting my brain again.